We work with rural communities through their Community-Based Organisations (CBOs) and Solidarity Groups (SGs) to increase access to safe drinking water, train young people for employment and improve livelihoods and feeder road infrastructure. Northern Sierra Leone communities were among those which experienced massive displacement by the rebel war which ended in 2002. Since then, Transform Africa has supported the returnees, first to reintegrate with those who remained behind and later, to improve social services, create opportunities for young people to gain economic independence and enable women and artisans to improve their livelihoods and increase household incomes. In addition, we have provided training and financial support to Community-Based Organisations to more effectively engage in lobbying and advocacy in order to increase and improve social and other essential services in the area. Through their Solidarity Groups, over 12,000 people have received affordable loans from our community-managed micro-credit scheme programme and more than 3,000 young men and women have graduated from an apprenticeship scheme and either got paid jobs or loans to engage in business. All loan beneficiaries have been trained to improve their business management skills. As a result, lives of over 15,000 people have been transformed through increased incomes and due to effective lobbying which improved services, such as clean drinking water, road infrastructure and education. One of our areas of focus is Advocacy & Lobbying, encouraging and teaching those in need to better hold the government accountable for helping to improve their living conditions. Workshops were run by our partner, Association for Rural Development (ARD), across communities in Northern Sierra Leone to train CBOs in these skills. 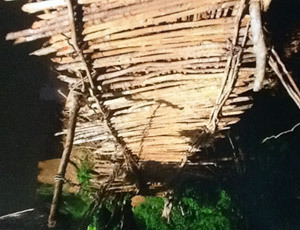 These workshops allowed a CBO in Northern Sierra Leone to advocate for the construction of the Kassikoro Bridge, and specifically to lobby the local mining company, African Minerals Ltd, to honour its cooperate social responsibility to the community. The building of the bridge is vital to the reintegration of these war-torn regions, giving them greater and more secure access to the rest of the area. 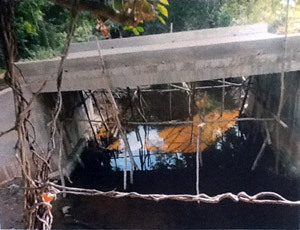 Below: Pictures of Kassikoro Bridge BEFORE and AFTER Advocacy. "Micro credit cannot solve all the problems of our community, but advocacy and lobbying can make a great difference. We are grateful to ARD for opening our eyes to other ways of solving our community problems". at Kassikoro in the Tonkolili District. See our Personal Stories page for testimonies from people who have benefitted from the action of Transform Africa.